Some of the Lutens Bell Jars. Source: Barneys. A funny thing happens when a Serge Lutens addict visits the mothership in Paris. A profusion of scents, sensations, sights, and lust floods over you, leaving you rather at a loss to make objective decisions on the spot. Or perhaps that was merely my experience in visiting Les Palais Royal. In any event, it took me two visits to make up my mind about what to buy, and one of the main bell jar candidates was Bois et Fruits. The rare, 50 ml spray bottle of Bois et Fruits. Source: Luckyscent. In the end, I walked out with Fourreau Noir and De Profundis, but I kept thinking about Bois et Fruits. I know it is a favorite of Serge Lutens’ personal assistant, the Paris boutique manager, Suleiman, with its blend of wooded, spiced, and candied fruits. Upon my return, I took the wild chance of looking up the fragrance to see if this expensive $310 bell-jar might possibly have been released in another form at some point. After all, Rousse and some other Paris Bell Jar exclusives seemed to have come out in a cheaper, limited-edition 50 ml spray bottle from time to time, so perhaps Bois et Fruits as well? To my joy, it had. And not only that, but the $200 retail price in the U.S. was significant undercut by discount retailers who offered it for around $82. Score! I’ve never hit the “Buy” button quite so quickly. Bois et Fruits is not the perfect scent, and it has some flaws which make it hard for me to swallow at $310, but it’s certainly fantastic and perfect enough for $82. The official bottle for the perfume, the Bell Jar version. Source: Serge Lutens Facebook page. Having started at the end of the tale, let’s go back to the beginning. Bois et Fruits is an eau de parfum that was created by Christopher Sheldrake, and released in 1992. It is one of a quartet of “Bois” (or wood) fragrances to follow from Lutens’ ground-breaking, debut perfume, Féminité du Bois for Shiseido. The latter is a highly admired, much-loved fragrance which essentially served as the mothership for all the Bois siblings which followed. Luca Turin, the famous perfume critic, has a very useful explanation of the history of the Bois line, their perfume structure, and how Bois et Fruits differs from both its mother and its siblings. In Perfumes: The A-Z Guide, he talks of how the “woody-fruity structure of Féminité du Bois was first devised by the perfumer Pierre Bourdon, … and then passed on to perfumer Christopher Sheldrake, who developed it with Lutens… to keep it as dark and transparent as possible.” When Lutens decided to open his own perfume house, he needed more perfumes for his line, and decided to do variations on his uber-successful Féminité. Enter the technique known as overdosage, widely propagated by Bourdon, in which a backstage component in one perfume is moved to the forefront in a new composition, a sort of rotation in perfume space. From Féminité du Bois came four variations, three of which create new effects by bold-typing one of the components of the original: musk (Bois et Musc), fruit (Bois et Fruits), amber (Bois Oriental). 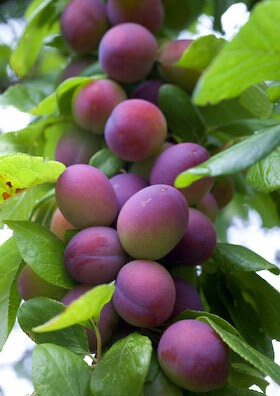 This is another descendant of Féminité du bois, whose base notes contained a complex blend of several types of plums. Here, unadulterated, it’s like candied fruit. A cornucopia of luscious woods and succulent fruits, Bois et Fruits is what we think Paradise would smell like…We are addicted to the candied cedar note in the heart of the fragrance. Surrounded by ripe, honeyed plums, figs, apricots and peaches, the woody note of Bois et Fruits is absolutely delectable. We would not call this darkly-sensual concoction gourmand in an obvious manner, but there is a sweet, lush quality in Bois et Fruits that is nothing short of mouthwatering. A blissful, endlessly enjoyable bled that is as sensuous as it is comforting, Bois et fruits is divine! cedar, plum, fig, peach and apricot. Plum, Peach, Cedar, Cumin, Apricot, Cloves, and Figs. Possibly, vanilla, almonds, and either licorice or anise. 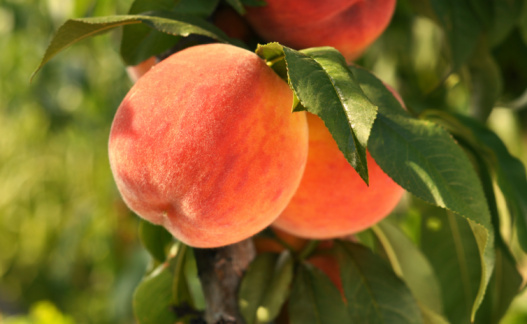 Bois et Fruits opens on my skin with the dripping juices of sun-sweetened peaches, followed by plums and the tiniest hint of apricots. The fruits are infused with a distinct, definite note of cumin, and something strongly resembling chewy, black licorice. The entire bouquet is cocooned by dry, dusty cedar, then softened with what I’d swear is a touch of almond-y vanilla. In the distance, the fig flits about, simultaneously a bit leathered and quite milky. The whole thing is a very soft, airy cloud that radiates out by a foot in the opening minutes, but soon softens to something tamer. A young cedar tree trunk. I enjoy the sweetness of the fruits so much that I sprayed Bois et Fruits onto my other arm during my test for this review, and I was completely taken aback to see that the fragrance had quite a different opening. I generally stick to one arm for all my tests, out of some odd thought about scientific conformity, but maybe that idea isn’t so weird after all, as the notes in Bois et Fruits were all jumbled up in a different order and with different strengths. 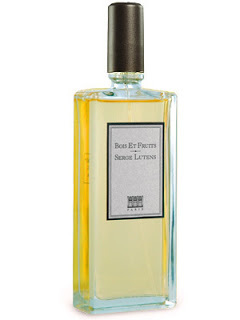 While the two scents soon ended up in the same place, on my other arm, Bois et Fruits opened with a very cognac-y, boozy note, followed by peaches, dusty cedary, and sweet, light, almost osmanthus-like apricots. The cedar was strong and pronounced, but there wasn’t a lot of plum at first. And there was absolutely no cumin at all — to the point that I thought I’d gotten it all wrong, until it suddenly popped up after about eight minutes. There was also no any licorice, almond, or fig tonalities, and very little vanilla. On the other hand, there was a milky anise element that flitted in and out, and anise is related to licorice. In any event, the two versions end up in the same place after about 20 minutes, so the minor differences aren’t significant in the long run, and I’ll just stick to writing about the version on the arm that I usually use for testing. Soon, a subtle creaminess starts to stir and rises to join the top notes. It’s not vanilla or almonds, but neither is it purely milky fig, either. It’s like a teaspoon of ice-cream flecked with sweetness, as if the lactonic qualities of the fig had melded with the dryish vanilla to create the impression of textural creaminess. I still wonder about the black licorice note that I initially detected because, at the same time as the creaminess, there seems to be some sort of milky white anise lurking about. 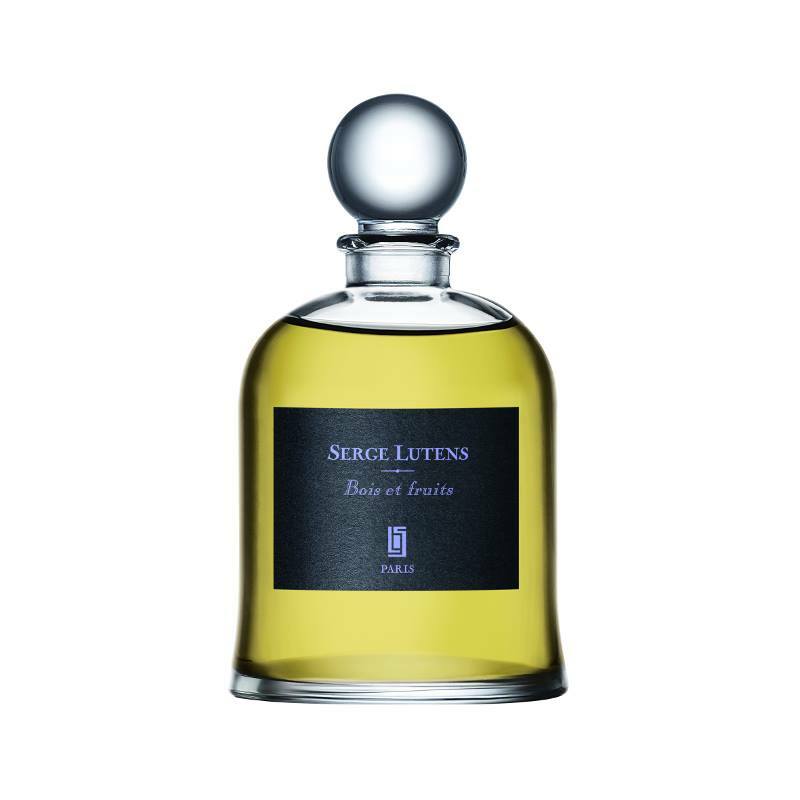 About 30 minutes in, there is an accord which strongly resembles parts of Serge Lutens‘ Serge Noir, a fragrance dominated, in part, by cloves and cumin. Christopher Sheldrake and Serge Lutens reportedly worked on Serge Noire for more than 10 years, and it was released in 2008. It wouldn’t surprise me one bit if the cumin-clove-cedar trio in the 1992 Bois et Fruits was later “overdosed” in the way that Luca Turin describes above to become the foundation for Serge Noire. The difference is that the trio are much more subtle and balanced in Bois et Fruits, while they’re tripled in strength in Serge Noire. In any event, both my arms are most definitely radiating cloves, but it’s so well-blended that, from afar, the whole thing merely translates to dry, brown spices. The unusual thing about Bois et Fruits’ overall development is how the notes never seem to stay in the same place from one minute to the next. It’s like a horse race where several contenders are all racing neck-and-neck near the finish line. Sometimes the Peach-Plum horse takes the lead and dominates, but the next minute, it’s the Clove-Cumin chestnut horse, and three minutes after that, it’s the Cedar stallion. Trailing far, far behind is the vanilla, looking like just a speck in the distance. About 2.5 hours in, the horse race looks a little different. 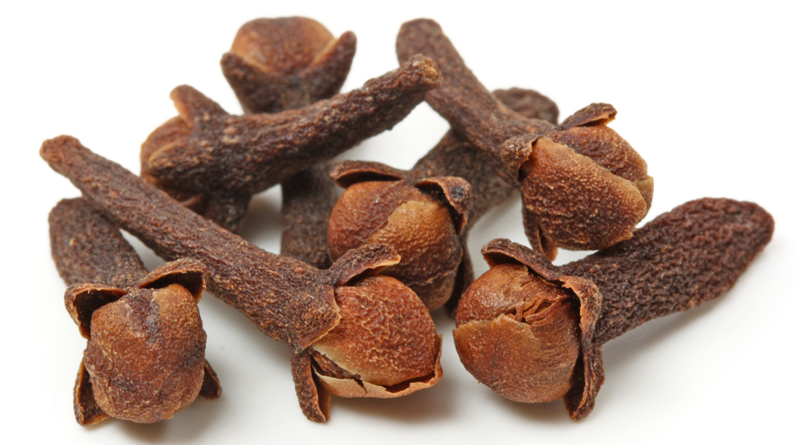 The clove has faded away, and the cumin softens to a dryly spiced woodiness with a very earthy feel. The cedar adds a similarly dry touch to counter the fruits which are primarily just plum now, with much weaker amounts of peach. The apricot never really showed up on my skin, beyond the opening minutes, and the almond note didn’t last much longer. What is more noticeable throughout is the muskiness lingering at the edges. It melts into the cumin’s earthiness, evoking the image of heated skin. To be precise, a guy’s skin under layers of thick, winter clothing after he’s exerted himself. Let me be clear: it does not smell fetid, and there is absolutely no impression of ripe body odor or smelly armpits, but there is a subtle sweatiness that evokes warmed, musky skin. An hour later, around the 3.5 hour mark, Bois et Fruits is a discrete, very soft sheath of dark brown silk. Yet, the scent is still strong up close, and tendrils of spiced plum occasionally float in the air around you. It’s an airy, gauzy, balanced blend of plum, cedar, cumin, with just a touch of peach. Slowly, Bois et Fruits grows more abstract, the cumin and peach fade away, and the remaining notes lose their shape or distinctness. In its final moments, Bois et Fruits is merely plummy sweetness with a hint of dry woodiness. All in all, it lasted just a hair above 8.75 hours on my skin with 3 sprays from an actual bottle (as opposed to an atomizer). Through out it all, Bois et Fruit evoked images of an autumnal forest filled with trees bearing heavy, ripe fruits in a colour palette of red, orange, and dark brown softness. Very Autumnal! I find Bois et Fruits easier to wear than Feminite du Bois. I love Feminite du Bois because I love the smell of cedar wood, but often FdB can feel a bit one dimensional – so if you find FdB a little too ‘wood workshop’, Bois et Fruits might suit you. The apricot is slightly syrupy in feel, so this with the fig and less spicy notes makes for a sweeter, cosier, easier to wear perfume, still boozy though, and very warm. Friendly. On me the silage is fairly close to skin, longevity soft to moderate. This perfume is growing on me and I might upgrade from decant to full bottle. I obviously detected a lot more spices than she did, but little apricot. On the other hand, I’m glad I’m not crazy, and that she noted the almonds too! I also agree that Bois et Fruits feels quite pillowy soft. Bois et Fruits is a fragrance that would be perfect for fall and winter- and in a way makes me think of Christmas and those very rich cakes with dried fruit and spices. The fragrance is heavy, oozing with sweet, juicy and smoky plum and apricot. If I could give it a texture, it would be that of a liquid honey that has been warmed up. I would classify it as oriental-gourmand, although it does not feature vanilla nor honey, it is very sweet, almost edible. The scent is so intense and long lasting, 5 hours later smells as if it was just sprayed. 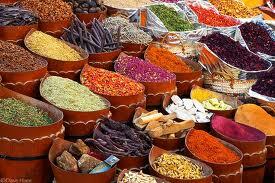 I love the dried,succulent fruits(mainly apricot on my skin), against the warm, spicy cedar. It`s like an imagenary tree covered in red,brown and yellow leaves with peaches, plums and apricots(.All growing at the same tree.) Under the heavy loaded branches, a dragon is sleeping peacefully, only opening one eye now and then just in case.. 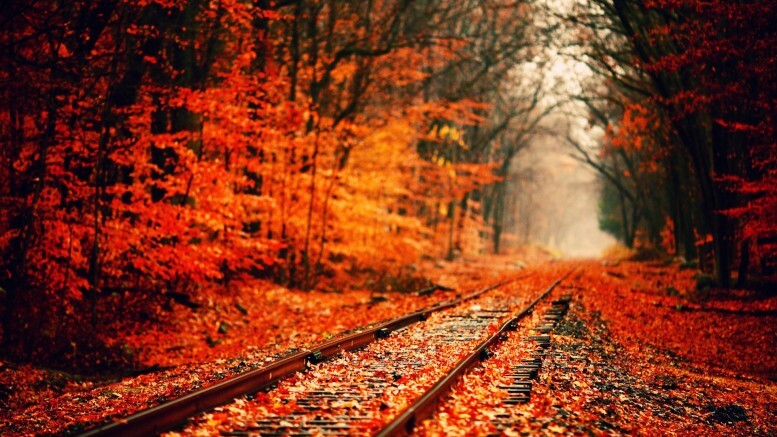 Perfect for autumn! Some people were not as enthused. Some prefer Feminité du Bois, while a few thought Bois et Fruits smelled “pungent,” no doubt due to the cedar. One thought the fragrance was too cedary, while another thought it was too fruity instead. There is also the same sort of split amongst the Fragrantica critics about whether the fragrance is too dry or too sweet. In short, for Bois et Fruits more than for most scents, it’s really going to come down to your skin chemistry. Mine happens to amplify base notes and sweetness, and, yes, I happen to find the fragrance very sweet. It would be too much so for me normally, but it works in this rare instance because of the dryness and spices that lurk underneath. Plus, I find the cumin to make all the difference. It is the perfect, well-calibrated amount to add character, while simultaneously helping to cut through the fruits. Still, if your skin chemistry is like mine, then you should try Bois et Fruits only if you enjoy the possibility of a very sweetened, fruity fragrance with a lesser dose of dry woodiness. Les Eaux Boisées are my favorite part of Les Salons du Palais Royal collection, and of them, Bois et Fruits is the most beloved. Bois et Fruits combines cedar with notes of peach, apricot, figs, and plums, and thus emphasizes the fruity side of its “Great Mother”, Féminité du Bois. Having said that, Bois et Fruits is actually much drier and less sweet than Féminité. It starts with a dry cedar note, within seconds the ripe fruitiness of figs and plums becomes apparent, the fruits balance the dryness of the woods and cedar keeps the potentially excessive sweetness of fruits in check. The overall effect to my nose is that of dried fruits mixed with a slightly incensy, sometimes even almost leathery accord. Bois et Fruits is a subtler scent, it is much less forceful than Féminité du Bois, and even though it has fruits in its title, it actually translates much less fruity on my skin that its predecessor. I always imagine that Bois et Fruits is the scent of Paradise, or at least of the woodier, wilder part of the Garden of Eden. Chris Sheldrake and Serge Lutens’s Bois et Fruits (1992) captures a moment of autumn before one becomes aware of its farewell connotations. Warm cedarwood is folded over lusciously ripe fall fruits—figs, peaches, and plums, which speak more of a voluptuous aspect of autumn than of its nostalgic side. This fragrance is one of few instances when fruit is not rendered as treacly and artificial. Instead, sweet resinous cedar married to fruit results in a very elegant scent with the brightness of sweet-sour plum courting the soft powderiness of fig. I think her four-star rating (which is what Luca Turin also gives it in his Perfumes Guide) is perfect, because the fragrance does have some flaws. I agree with those on Fragrantica that its sillage and longevity tend to be on the lighter side of things, but there is also something else. For me, Bois et Fruits doesn’t stand out enough to warrant inclusion in the Bell Jar line. Those are the most complex, nuanced, morphing, and twisting Lutens scents, so their high price is understandable and usually worth it. They are the masterpieces that, whether or not you can wear them, are brilliant works of olfactory art for the most part. Bois et Fruits doesn’t measure up to that standard. For me, it would be a perfect addition to the regular export line, and it’s well-worth it at $82. It’s great for autumn, and it also works wonderfully as a layering scent to go with much drier or smokier fragrances. But I’m very dubious about the U.S. retail cost of $200, and I honestly could not imagine spending the much-inflated U.S. Bell Jar price of $310 on Bois et Fruits. Not in a million years. The bell jar is cheaper in Euros at €145, without the annoying, extra-high U.S. mark-up, and I think it may have been €135 back when I was in Paris. Yet, if you notice, I didn’t buy it even at that price, and the main reason is that it didn’t stand out as much as its siblings in the bell jar line. It simply didn’t feel special, complex, or strong enough — lovely and succulent as it may be. Fourreau Noir, De Profundis, Boxeuses, Un Voix Noire, and some of the other Bell Jar fragrances are in a different class, in my opinion. However, I found one European online retailer to carry the rare, discounted 50 ml spray bottle of Bois et Fruits, which is priced €105, and that may be much more reasonable for what it is. I wouldn’t recommend Bois et Fruits for everyone. You must like sweet perfumes, and a lot of fruit. You also have to appreciate cedar, and a touch of cumin. If you do, and if you can buy Bois et Fruits at a discount, I think you’ll enjoy it very much. It’s not very intense or edgy, it’s definitely not very complicated, but it is quite an Autumnal treat. General Cost & Discounted Sales Prices: Bois et Fruits is an eau de parfum that comes in a 2.5 oz/75 ml bell jar that costs $310 or €145. However, you also can find it in a 1.7 oz/50 ml spray bottle which retails for $200, but which is massively discounted on some sites for much less. Bois et Fruits is currently on sale at FragranceNet where the 1.7 oz/50 ml bottle is priced at $84.31, when you include their an additional 15% OFF with the coupon code RESFT5. (I think I bought mine for $82, so it may have gone up a wee bit since then.) The site offers free domestic shipping, but they also ship world-wide. Bois et Fruits is also discounted on Amazon, where the seller is listed as Serge Lutens, and the perfume is priced at $96.87. Beauty Encounter sells the perfume for $99 if you use their 20% off code. You should also check eBay as the fragrance is sometimes deeply discounted there. At the very least, it is commonly in the $95-range. Serge Lutens: you can find Bois et Fruit in the expensive bell jars on the U.S. and International Lutens website, with non-English language options also available for the latter. U.S. sellers: Bois et Fruits in the 50 ml atomizer bottle is available for $200 at Luckyscent, Barney’s, and Aedes. Barney’s also sells the very expensive bell jar form. Outside the U.S.: In Canada, you can find Bois et Fruits at The Perfume Shoppe for what may be CAD$200 or US$200. I’m never sure about their currency choice, since it is primarily an American business. They also offer some interesting sample or travel options for Lutens perfumes. In the UK, I couldn’t find any vendors as this is primarily a Paris exclusive bell jar. However, in France, I found it sold at Laurent Mazzone’s Premiere Avenue in the 50 ml atomizer bottle for €106, and the site ships worldwide. French Sephora carries a lot of the Lutens perfumes, but again, Bois et Fruits is a Palais Royal Paris exclusive. In Australia, the perfume is on sale at the FragranceNet site for AUD $94.41, with the discount code, instead of what it says is the Australian retail price of AUD $223.96. Samples: You can test out Bois et Fruits by ordering a sample from Surrender to Chance where prices start at $6.99 for a 1 ml vial. There is also a Five Lutens Sample Set for $18.99 where you get your choice of five non-export, Paris exclusives, each of which comes in a 1/2 ml vial. This entry was posted in Fragrances, Gourmand fragrances, Orientals, Perfume Review, Serge Lutens, Woody Fragrances and tagged Bois et Fruits, Christopher Sheldrake, Lutens Bell Jar, Lutens Bois et Fruits, Lutens Bois series, perfume review, Serge Lutens by Kafkaesque. Bookmark the permalink. Dearest Kafka, I should give this a whirl even though the cumin may bother me and the …. 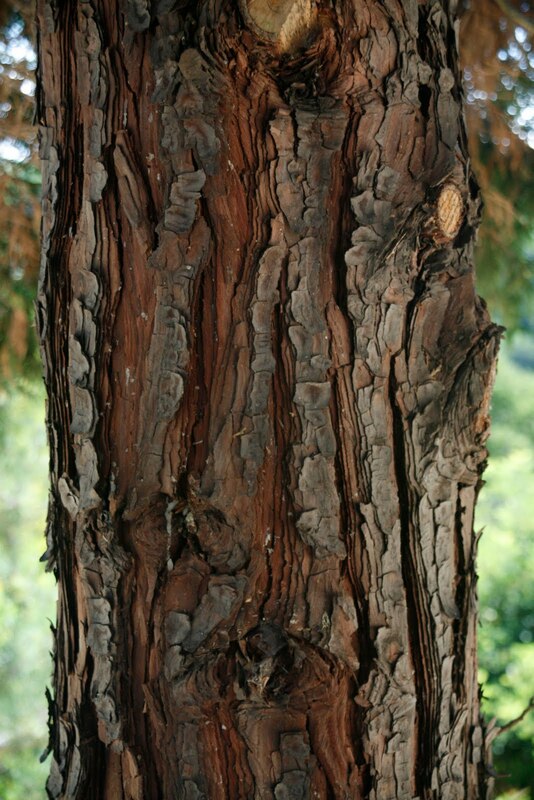 cedar … may end up smelling like pencil shavings. If I smell pencil shavings, it will confirm that cedar is on my try to avoid list of notes. Mohur for sure turned into pencil shavings and I am also blanking out on the 2nd one where I mentioned pencil shavings…I thought it was a rose perfume if I recall…maybe a Tauer, but perhaps not. I do have FBs of perfume with cedar that I like, a lot.. CDG Kyoto and even Opardu! It has to be what else supports it or what it supports. i guess bottom line is one must try the perfumes as the same note could either be beautiful or turn so wrong on one’s skin! Very well said! It’s definitely all about the treatment and handling, in conjunction with the other notes. Even I can handle things like ISO E Super if it’s handled lightly and well. I think not to fully feel panicked at the Palais Royal store I would need to rob a bank prior to the visit. I would want to own practically every scent, and some of them in multipack. As a great admirer of Feminite Du Bois and also the underrated Cedre ( divine! That top accord ! ) you have made me drool for Bois Et Fruits. I also do not know how you are managing to produce this post-Paris breathtaking tsunami of perfume writing. Your day obviously, by some technique of magic, has way more hours than mine. All these obscure, never heard of perfumes: I need to take another winter vacation in order to read about them all. Perhaps I need another trip to Paris as well. I don’t know if old Londres is quite as well stocked. I definitely hope you can take a day trip to Paris the next time you go back home. I would LOVE to see what you thought of Un Voix Noire, for example, along with this one. In terms of different houses, you could also stop by Oriza L. Legrand, because if ever a house were up YOUR alley, it would be that one!! I also wish you could order Mecca Balsam from the La Via del Profumo/AdesSalaam Attar. I’d be fascinated to see how you would interpret it, you of all people, given how everyone else thinks it’s a hugely meditative, reflective, spiritual, incense-y fragrance. I’m so glad you like it, Maria. I tried Bois Oriental at the store, fully expecting that something with the word “Oriental” in the name next to Woods would be my favorite. I was surprised to be more taken by this one. I can’t remember now the precise or exact way that Bois Oriental smelled on me, but Bois et Fruits worked better on my skin. 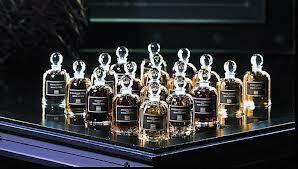 As for Serge Lutens with wood and candied fruits, it really IS his signature, isn’t it? He’s brilliant at it, too. (One of my Lutens favorites, Fille en Aiguilles, has that same signature.) I really wish he’d go back to this sort of thing, instead of the new trend towards metallics. First, Fille de Berlin, then the really, really disappointing La Vierge de Fer, and then the upcoming release which is supposed to replicate “scratchy wool” and metallics. I’m not looking forward to it, especially as I’m still recovering from La Vierge de Fer…. It sounds very enticing and I for the life of me cannot remember its smell (and I did go through the line in the Palais Royal) but I think it has to do with the fact that I couldn’t really bother to remember all the bois thingies. 😉 Plus, I love my Feminite. It really does feel as though there are a gazillion Bois fragrances. lol. I agree that it quite be a bit overwhelming to sort them all out when you’re in the haze of a visit at Les Palais Royal. For me, this Fruit one stood out, but I was surprised not to like the Bois Oriental the way I had expected. The Musc was iffy on my skin, too, and I knew from prior tests/samples that Bois en Violette was too sheer/thin for me. I kept going back to this one, sniffing it as I left the store, and I was taken even more on my 2nd visit and with another test. (I think it grows on one.) But the Fourreau Noir blew me off my feet in a way that Bois et Fruits did not, so I left with that one instead. In your case though, you love Feminité du Bois, so I hope you can seek this one out for a sniff. You’re always full of surprises. I wouldn’t think of you liking a sweet, fruit scent. I always think ambers and orientals when I think of you. I would have figured the Oriental one would have been your choice. It just goes to show that you really need to try a perfume on and not dismiss it because of it’s name. I would have passed this over just because it has “fruit” in the name. Thanks for reminding me to not judge a book by its cover or a perfume by its name. Heh, I think surprising people is a big compliment, so thank you. To be honest, I was completely surprised myself. I didn’t expect to like this one, over something with the word Oriental in its name. What I liked about Bois et Fruits is how its sweetness was balanced with the woods. There was something mysterious about it, but it is only when I did a thorough test with close-up sniffs did I realise that it is those very well-blended spices along with the woods. Whatever causes that earthy, musky, slightly sweaty dustiness — and, again, I’m the only one who has mentioned cumin — it works so perfectly with the fruit. It elevates the scent beyond just a mere “Fruit” fragrance, if that makes sense. It truly has as much of the Lutens love of woodiness as it does the plummy fruits, so that’s really a big part of it. I can’t remember how Bois Oriental was on my skin, but I know I skipped over it almost immediately. (Actually, in terms of things name “Oriental,” Vetiver Oriental seemed to work better.) I hope you get the chance to try Bois et Fruits, Poodle. I love reading the name Serge Lutens currently because a mate and I are off to Paris very soon. Last time I was there the Palais Royale store took my wits away and all I could do was ask for the things I was getting for other people before I died of claustrophobia. Basically a four minute spree and gone. This time I am prepared. I will try Bois et Fruits and think of you. LOL at the “Palais Royale store took my wits away.” Hahaha, it does that, doesn’t it? It’s really quite overwhelming on a first visit, and I definitely think it requires at least TWO goes for one to make sense of things. If I may, can I suggest that you try Fourreau Noir first and foremost? You can read my review if you’re curious because it is the LEAST likely scent that I, of all people, would ever get, but it blew me away. Lavender incense, patchouli, amber, almonds, and more. It shouldn’t work, but it’s utterly brilliant. https://akafkaesquelife.wordpress.com/2013/11/21/serge-lutens-fourreau-noir-dark-delectable-magic/ You love patchouli too, so please try this one. Pretty please, this is the one that I would urge you to sniff. (My other all-time favorites can be found in regular form, Cuir Mauresque and Fille en Aiguilles.) But I would also urge you to try Un Voix Noire, Billie Holliday’s Gardenia, with a massive twist. That was also in the running to be my bell-jar, and I think it’s utterly brilliant. PLEASE try that one too. I won’t link to my review but you can look it up. I think you’d love how well it represents a fading nightclub, after hours, with the wilting, browned gardenia lying in a puddle of spilled booze and smoke. It’s so hauntingly evocative. As for Bois et Fruits, if you like it, know that I found an Australian online vendor who sells the atomizer bottle for cheaper than the bell jars. Much cheaper. I have a decant of Une Voix Noire and a bottle of Fille. Fourreau Noir will be my FIRST sniff in store, thank you for the advice. Sadly I think the bell jars a bit annoying, I love the skinny bottles and you can fit 4 of them in the same space all in a row. I will, on your recommendation try the Bois et Fruits too. It’s good to go there with a list and yes, that shop is freaky, nothing can prepare you for it’s character. Don’t you feel that the shop itself is a bit alive? Few things are more fun than enabling and leading someone into temptation. 😉 As for the Palais Royal boutique, it definitely has a very intense, almost intimidating character with all the glass reflecting back at you, the solemn hush, the Goth purple, and the magical stairway leading up into forbidden territory. I can see how it may seem almost alive in its vividness. It sounds like it also made you claustrophobic beyond belief. lololololol. Listen, while I have you hear, a suggestion for your Paris perfume adventures: go to Oriza L. Legrand. It’s an adorable boutique near the Opera, and I love their Chypre Mousse, which is positively otherworldly in its uniqueness. But you may also enjoy the rather Lutens-like twisted Lily with monastery incense of Relique d’Amour, and the Duchaufour-like Reve d’Ossian. Except all THESE fragrances are essentially over 100 years old, with only the lightest of tweaks done to them. They have a very vintage feel at times, except for Chypre Mousse which doesn’t compare to anything. It would be a huge shame to go to Paris and not experience Oriza L. Legrand given that it is not sold anywhere else. If you are interested, I can link you to my coverage of the line, but I’ll spare you the huge length for now. Also, my favorite perfume shop in Paris is the cute as a button, Marie-Antoinette in the Marais district (which also has quite a few other perfume boutiques from a Guerlain to Etat Libre and more). Marie-Antoinette is tiny, but has a really superbly curated collection from Mona di Orio to Tauer’s Tableau de Parfums, the Jardins d’Ecrivains line that I like so much, and more. The owner is utterly adorable, a very passionate, emotional, funny, sweet guy called Antonio who speaks English and whom I think you’d get on with like gangbusters. It’s like hanging out in your own living room with a good perfumista friend. I LOVED it! The Marais also has Sens Unique, a boutique that is the only one to have all the Pierre Gauillaume fragrances, no matter which house (Phaedon, Huitieme Art, Parfumerie Generale). They also have Juls et Mad, Odin, and much, much more. WOW! We are staying just next to the Opera so Oriza L. Legrand is definitely on the cards. I have their sample set and think it a wonderful line, yes, can’t wait to get there. Thanks for the heads up. I have put the rest intio the must do pile, which is growing SO FREAKING LONG but we will get to quite a bit of it I hope. Thanks you for taking the time. I appreciate it. How I love Bois et Fruits. How I love anything that resembles Feminite du Bois. To me, Bois et Fruits is elegance with a healthy dose of distortion dripping down the plummy juice. I cannot agree more with you more though: it is not Bell Jar worthy, yet it stands on its own right as a lovely daughter of the most beautiful vintage mother. “Healthy dose of distortion dripping down”…. I love it. So wonderfully stated. I’m actually a bit surprised (happily so) to see you agree that it’s not Bell Jar worthy. I thought some Bois fans might object to that, so I’m rather relieved you don’t. It’s actually not a slam in some ways (except for the financial cost) because Bois et Fruits is a lovely fragrance. But Uncle Serge’s complex masterpieces in the bell jar line are often pure art, right down to the fact that — like art — they are not always the most approachable and wearable thing. Certainly not on a daily basis for a few of them. The Export Line that is available world-wide has some superb fragrances, but they are also much more simple, uncomplicated, versatile, wearable, comforting and/or cozy. And that’s what Bois et Fruits is, to me. I’m not a big fan of overly sweet perfumes. ‘Too sweet’ is the most common reason appearing in my sampling notes for assigning fragrance samples to the PASS bin. Yet I do really like Bois et Fruits. It is well made, balancing the wood and fruit (I also get some leather in it). It has some sweetness, but is not overly sweet by my lights. And I like that it speaks in hushed tones and does not shout. I’m extremely surprised, but happily so. I know we both dislike overly sweet perfumes, but I was sure this one would be too much and way too sweet for you, James, given how the Lutens’ Un Bois Vanillé turned out for you. Bois et Fruits is definitely sweet by my standards, but I like the counterbalancing notes. I’m glad it works on your skin too. It’s those woods. They are so wonderfully handled. Are you tempted to get a full bottle, or do you already have one? Awesome! Perfect way to get around the bell jar problem, and its enormous price-tag in the US. How nice that you included my review! (Woodlandwalk, though my real name’s Rose). I recently ran out of Bois et Fruits, but it’s so Autumnal I think I’ll wait till late in the year to buy it again. If you love Autumnal perfumes though you might like Mirabella by DSH, have you tried it? it’s got a mulchy, peppery leaf smell like leaves underfoot at the end of Autumn, it’s also very animalic with civet and indolic jasmine. Enjoying the reviews Kafkaesque – so descriptive and in depth! Welcome to the blog, Rose. 🙂 I’m glad you like the reviews, and it was my pleasure to include your take on Bois et Fruits. I haven’t tried anything from DSH, but that is actually a house that I decided to try to explore at some point in 2014. I’ve heard a lot of great things about it. I will keep Mirabella in mind. If you like that sort of mulchy, wet leaves, earthy scent, you may want to look up my review of Oriza L. Legrand’s Chypre Mousse. It’s not floral, animalic, or indolic, but pure green leaves, mushroom, wet earth, and mosses, with a dash of herbs and the merest touch of violets. It might be up your alley. I believe I sent you a sample. Did you not look at them all?